If you appreciate the simple things in life, this Marc Jacobs watch is just the thing for you. The petite Baker watch is designed with sophistication in mind thanks to the classic design of a round-faced watch in a glorious gold bezel completed with a leather strap. Subtly infused with the brand's insignia on the display dial, this remarkable wrist-wear is one to wear for whatever the occasion. 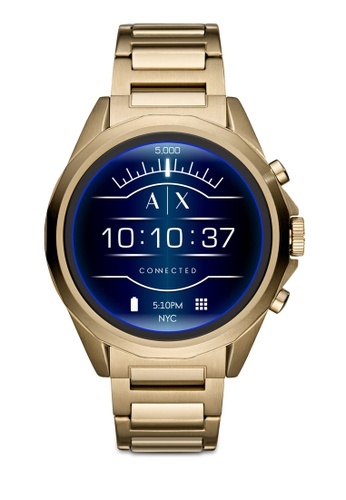 Can't find Drexler Touchscreen Smartwatch AXT2001 in your size?